← Game based learning and Gamification. 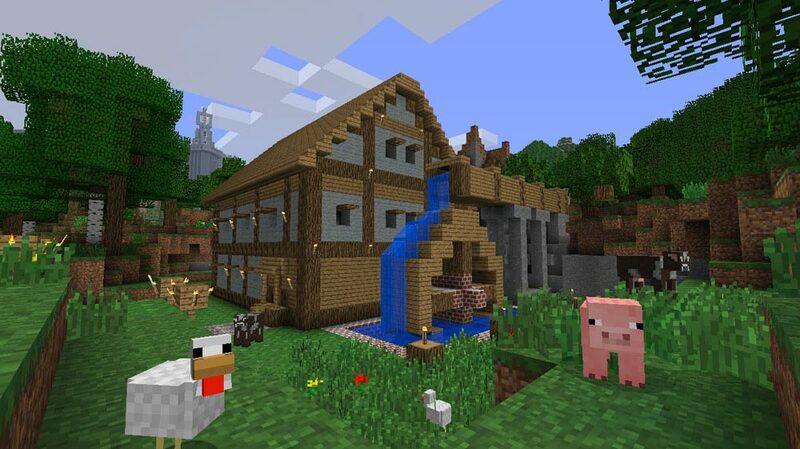 What can we learn from Minecraft? This series of articles is designed to explore the lessons that can be learnt directly from individual, popular video games when considering Gamificationin education. In the future I my do articles on game based learning inspired by popular games. 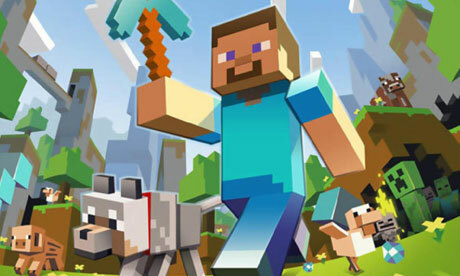 The biggest gaming sensation of the past few years is without doubt Minecraft. As teachers we (hopefully) spend a hell of a lot of time communicating with children. As such I have little doubt that most teachers will have heard of Minecraft. Minecraft differs dramatically from the vast majority of video games because it is not about “winning”. Minecraft is a sandbox game, meaning the game is open, with little or no story to play through and encourages player exploration and creativity. What could be better in a game for children? Of all popular Games Minecraft provides one of the rawest play experiences. It is very similar, at face value, to Lego. The world is clearly created of different coloured and textured blocks (including the player). 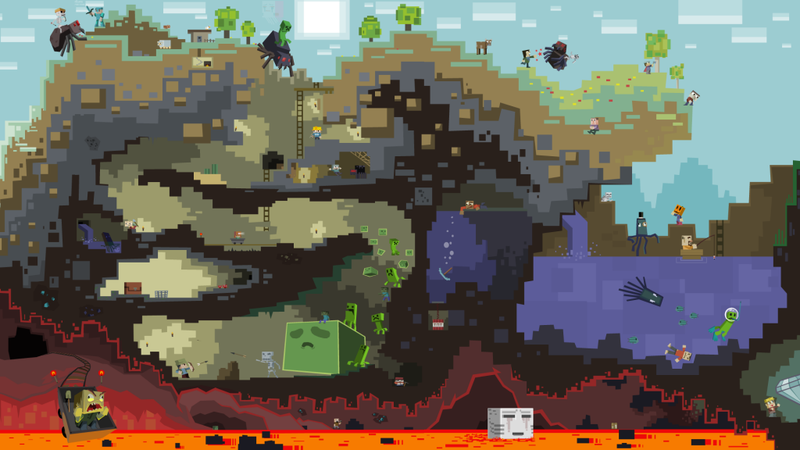 The player plays in a first person perspective and proceeds to explore, destroy blocks, collect different resources from destroyed blocks, craft new resources and tools from those resources and defeat creeps (enemies spread throughout the world). Incidentally the world is created randomly every time you start a new game so exploration is incredibly important. People have flocked to the block filled world of Minecraft in droves. Despite its simplistic looking graphics it provides thousands of hours of gameplay due to its open gameplay. Compared to the traditional model of video games Minecraft really stands out, but despite this is has become one of the most important and popular video games of our time. In a marketplace flooded with games concerned with competition and destruction, Minecraft has succeeded. Focusing on cooperation and construction. What mechanics does it utilise then to keep its players hooked? If Gamification in education is concerned with using game mechanics to improve education, what can we take from Minecraft? The easiest system in Minecraft that could be used to Gamify is experience collection and levelling, which is easy to set up in a classroom (see GAME2TEACH). Cooperation and communication is also really important in Minecraft as one of the most popular aspects about it is the ability to totally share the game experience with others, mining, farming, hunting, building together with friends locally or from around the globe. The real gem that we can take from Minecraft when thinking of Gamification. Is to try to capture that genuine feeling of exploration and discovery that drives players desire to keep playing. This should really be pretty straight forward in education as learning should ideally already be about discovery. Children live very closely monitored lives, they are watched to keep them protected from the world and in Minecraft they are let loose in a safe environment to do exactly as they wish. what they choose to do there is dig, cut down trees, create, build and wherever possible they choose to do it with others. Years ago children would have had far more access to the great outdoors. As time moves on children are spending less and less time out in the woods and fields playing and I think that Minecraft is a digital playground that allows children to in part experience the play that they used to get through the freedom of being outside. The single greatest Gamification lesson that we should take from Minecraft then is the importance of getting kids outside, exploring there environments, building dens and having some freedom to have fun with their friends. In the UK many schools offer Forest School, which is designated school time in the great outdoors doing just this, unfortunately it is all too often used exclusively for the youngest of children in our education system (3-5 yer olds). Minecraft’s success is clearly showing how much children of all ages have a yearning to get outside and be allowed to dig about in the dirt, create things from what they can find and enjoy sharing these expenses with their friends. Minecraft’s alternative game style should then also highlight the importance of alternative lesson styles to teachers. It’s a game that lets children get outside and play, in a world where children are spending less and less time outside and more and more in front of a screen playing games. This entry was posted in Uncategorized and tagged education, Forest School, game mechanics, gamification, Minecraft, Mnecraft, Open world, Video game. Bookmark the permalink. I love this post! I am an independent Forest School leader and I have just started a series of Forest School sessions with Y4 with a focus on the Celts. On Friday a group of boys in the class who are all into Mincraft, spent the whole time ‘mining” finding gold and coal. I have just been looking on google to see if anyone has used minecraft concepts in Forest School and have come up with your blog.